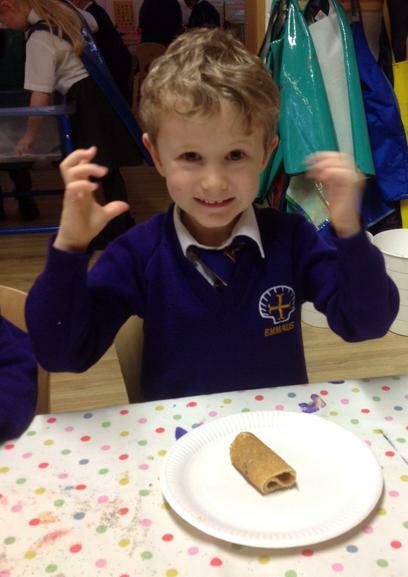 and SHINE from the inside out! 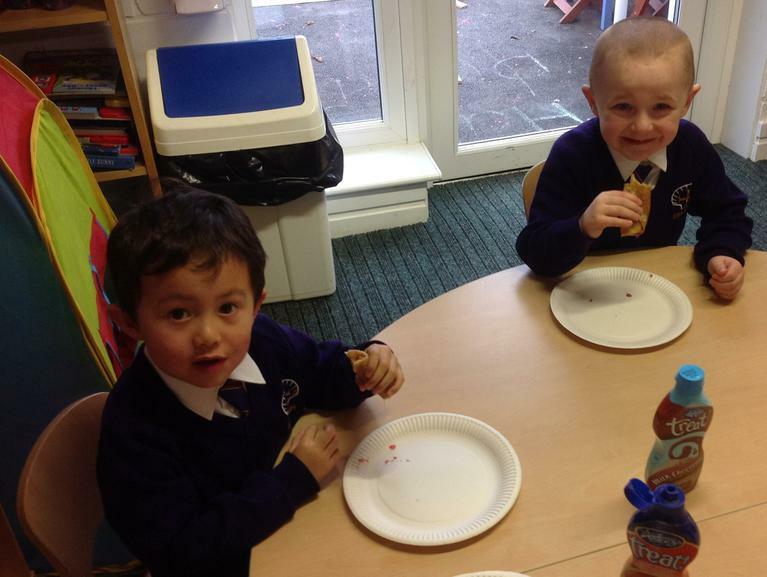 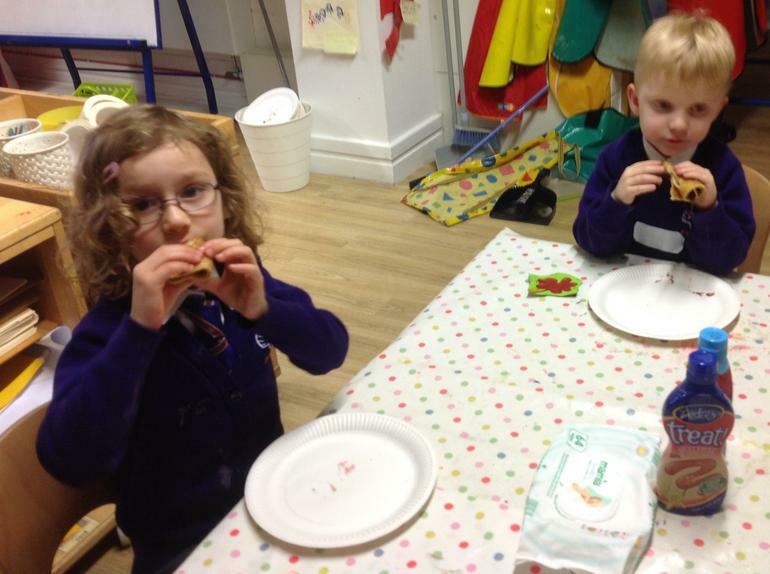 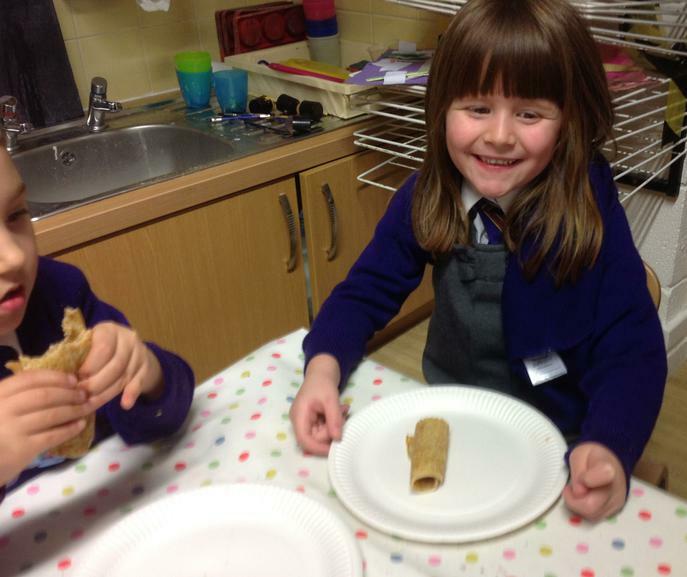 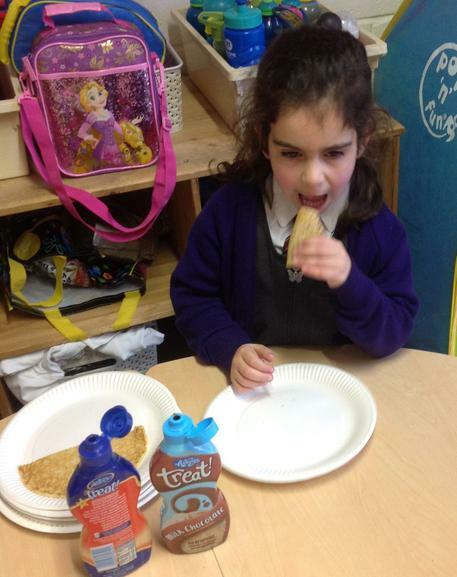 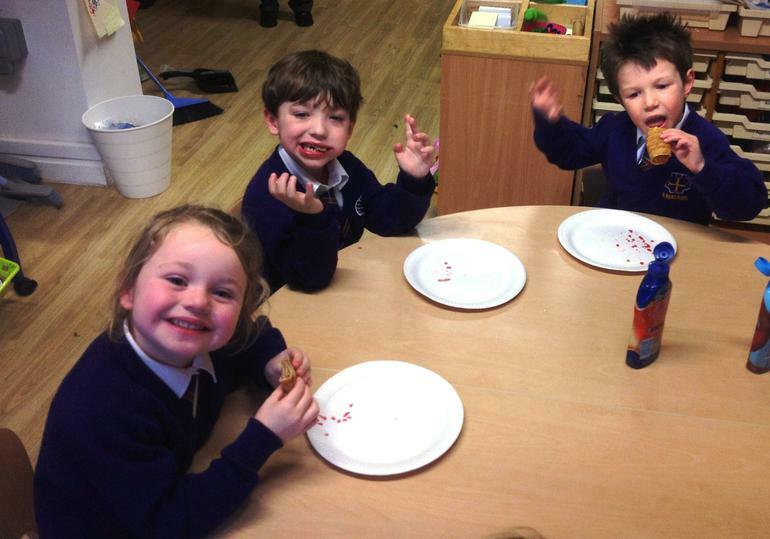 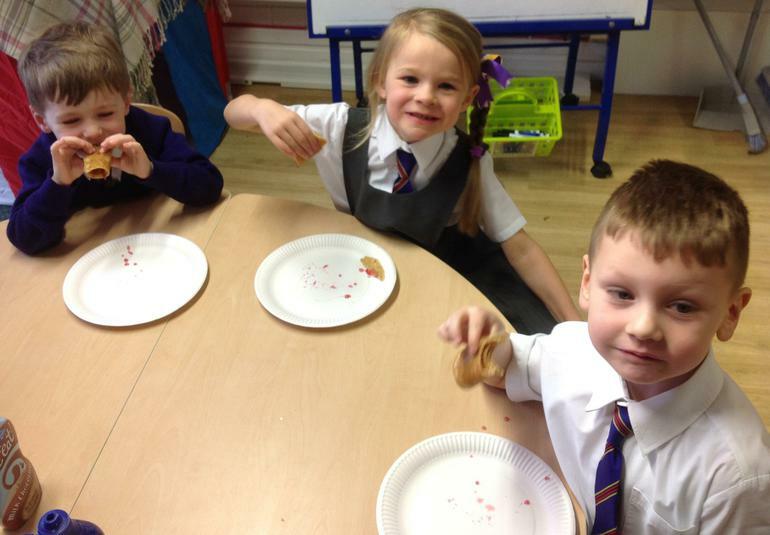 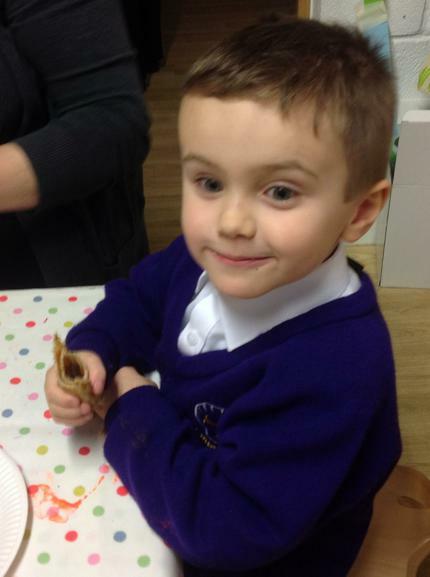 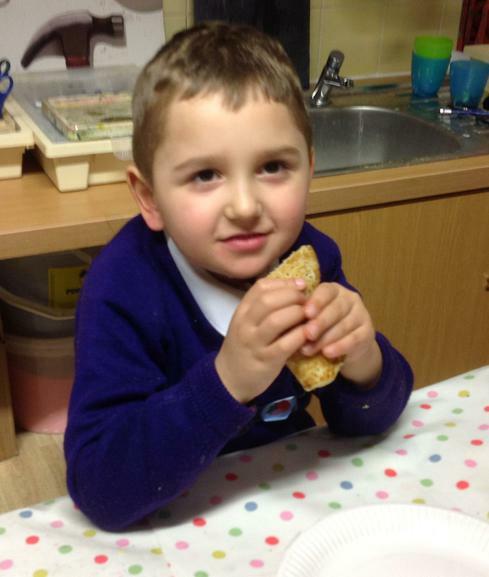 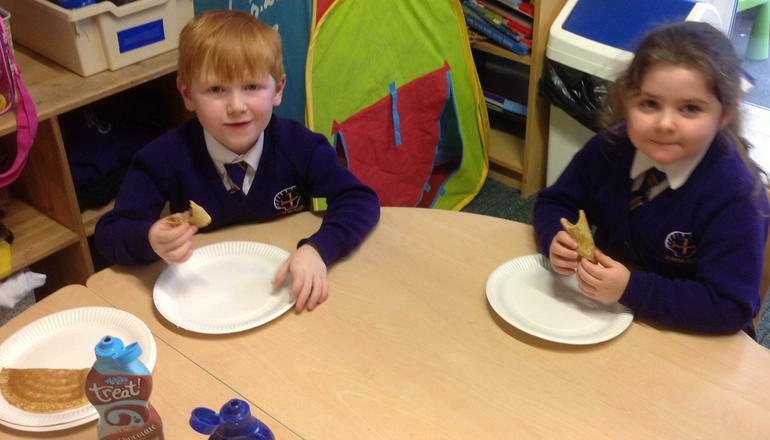 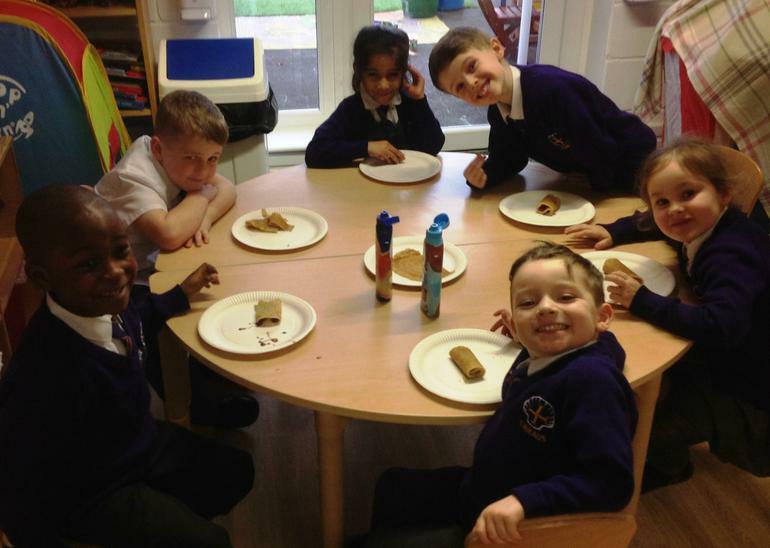 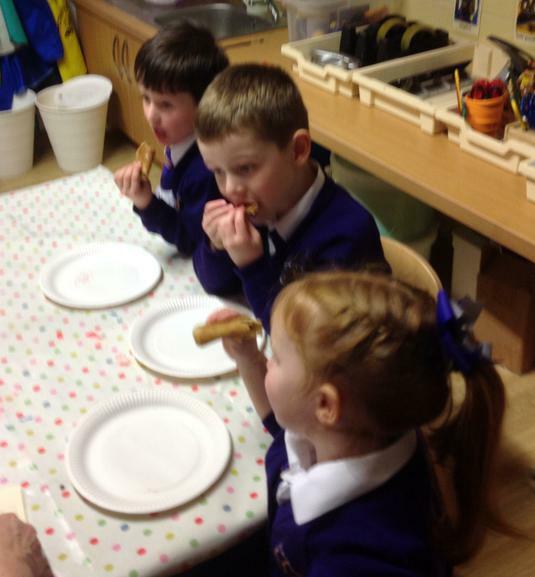 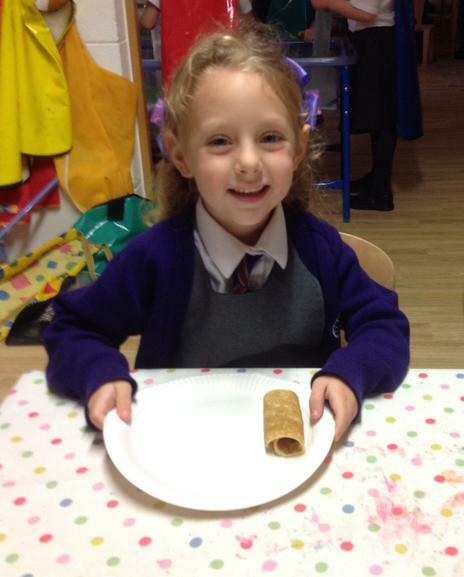 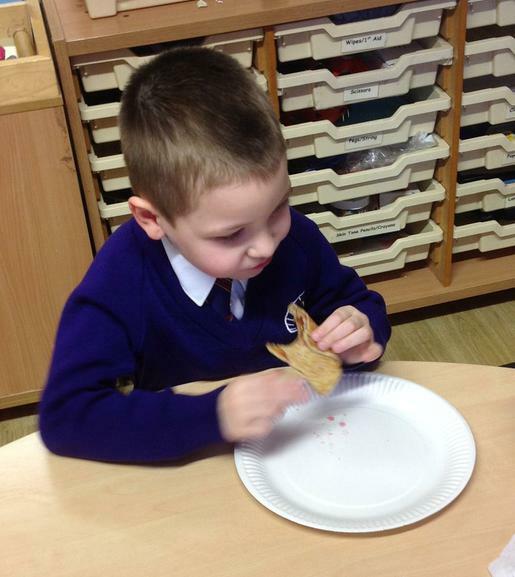 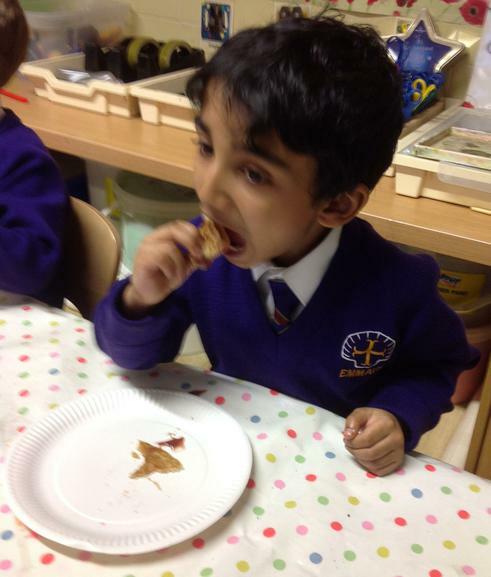 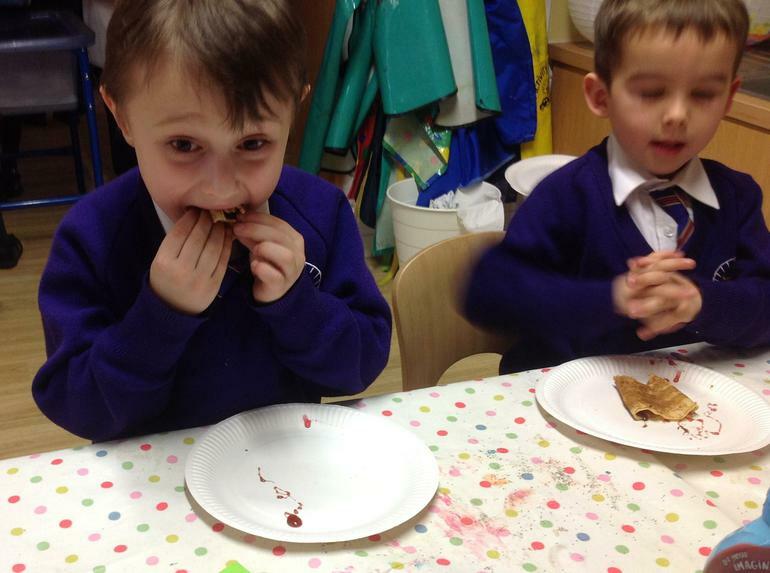 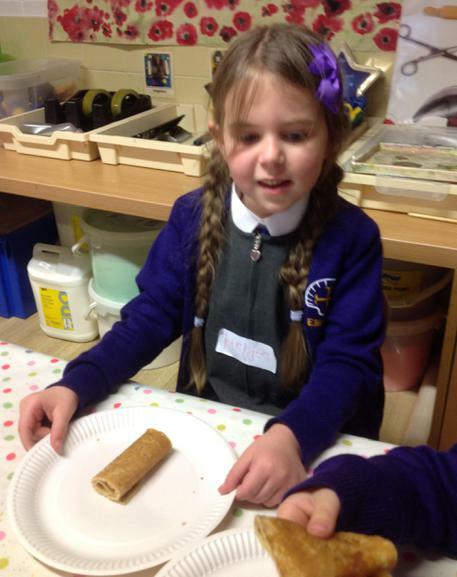 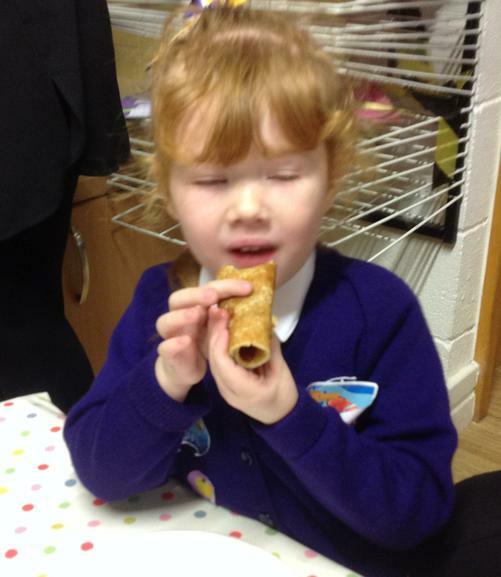 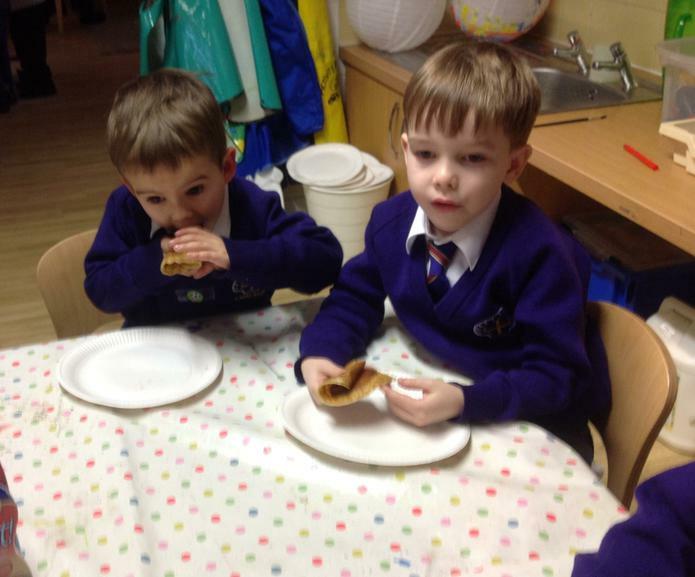 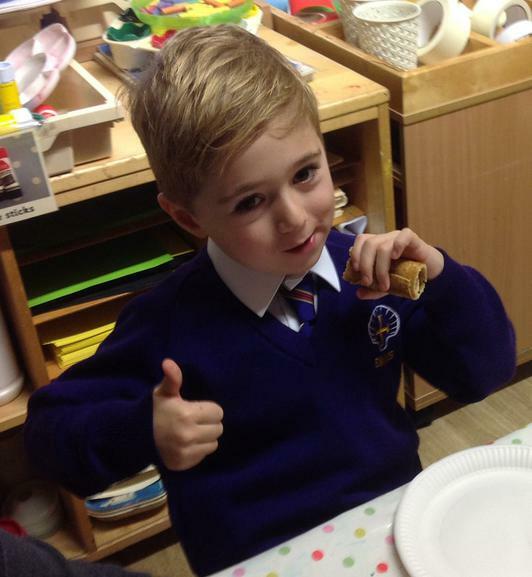 We began our Lenten preparations on Shrove Tuesday when we enjoyed tasting pancakes with a variety of toppings! 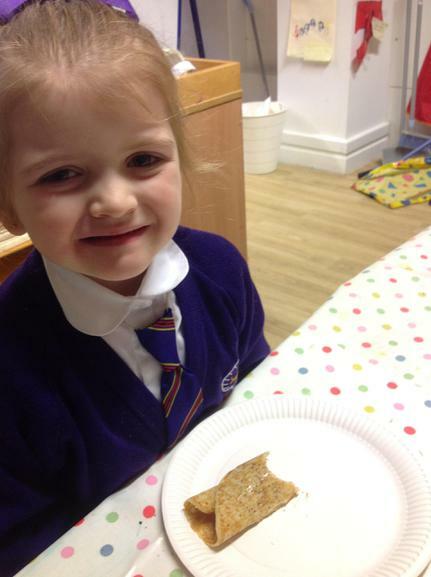 Unfortunately, the rain prevented us from joining in with our traditional pancake race this year. 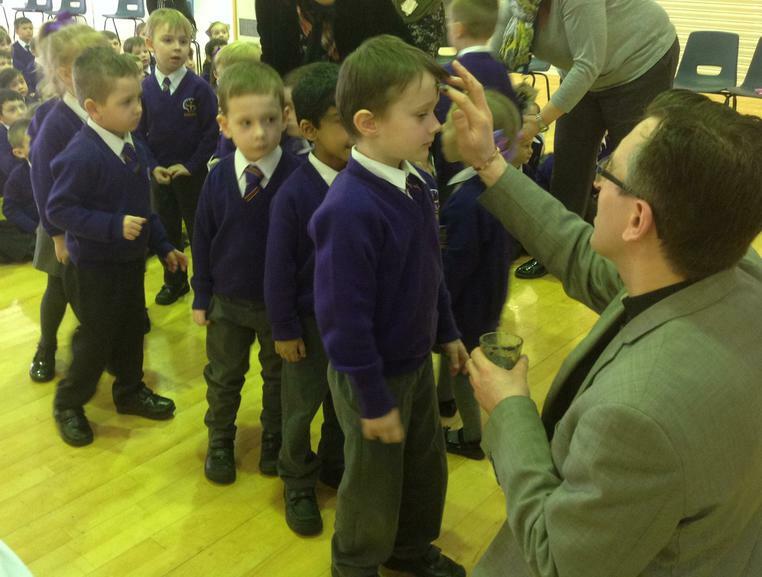 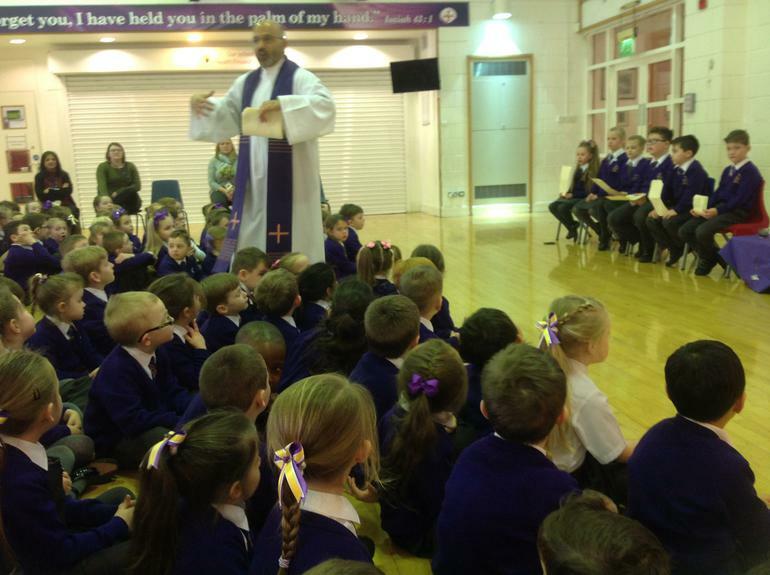 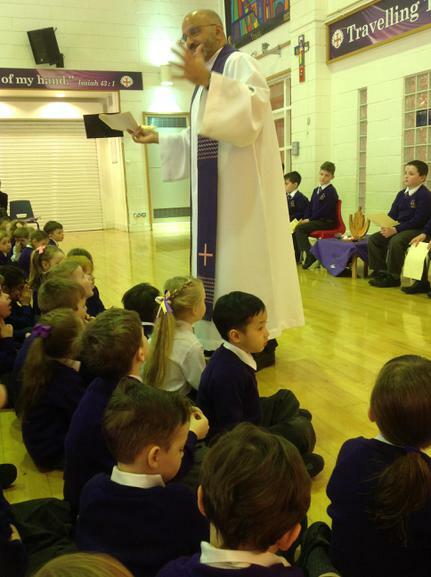 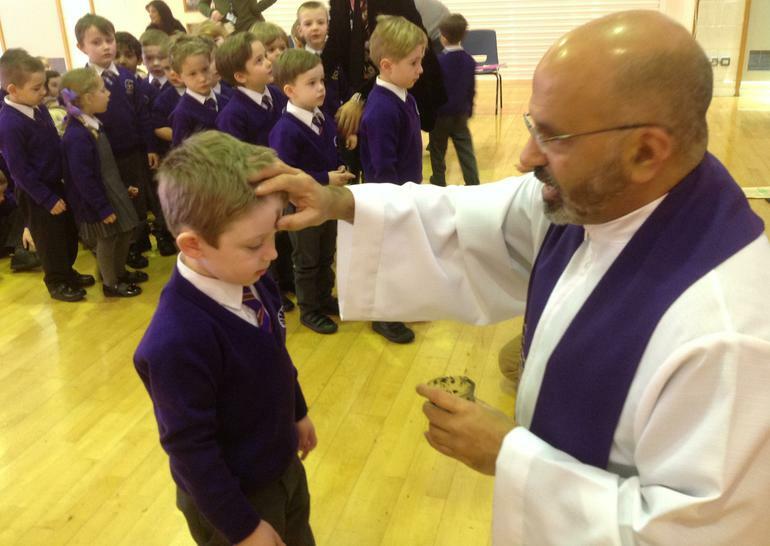 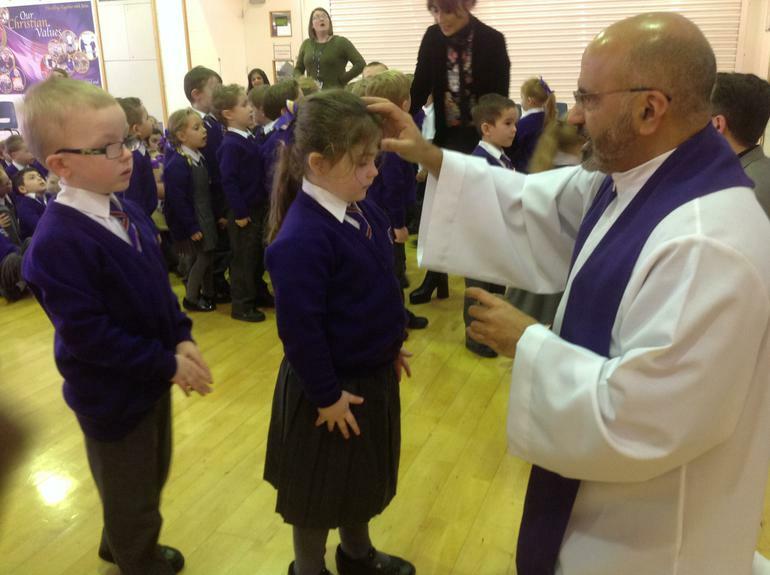 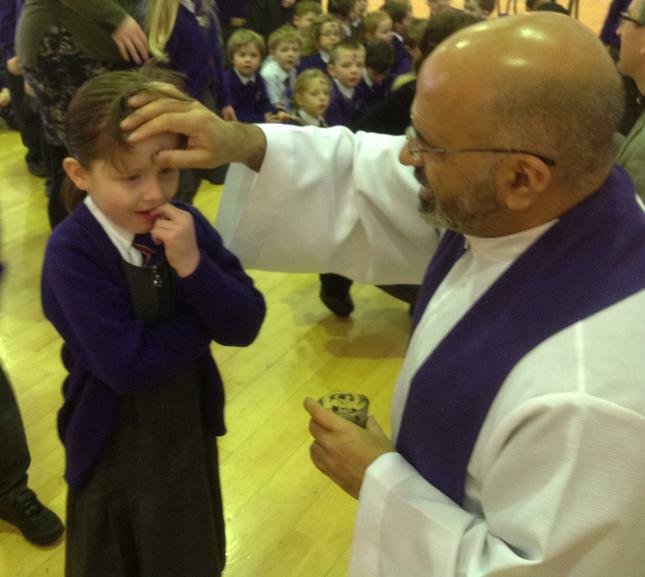 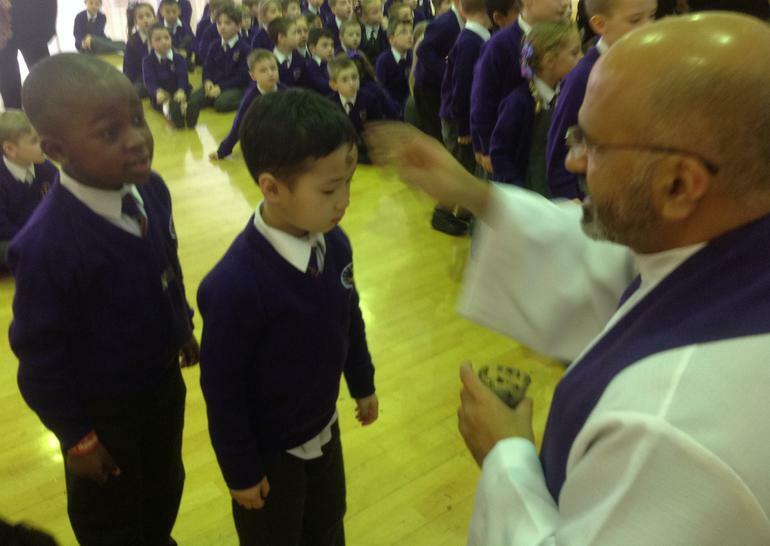 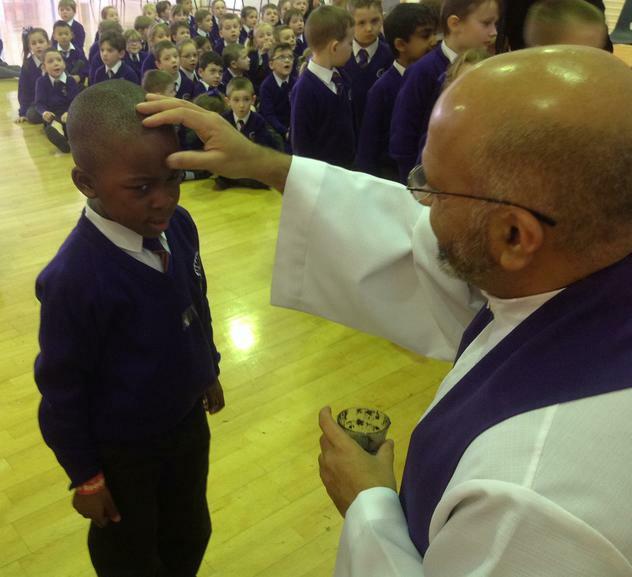 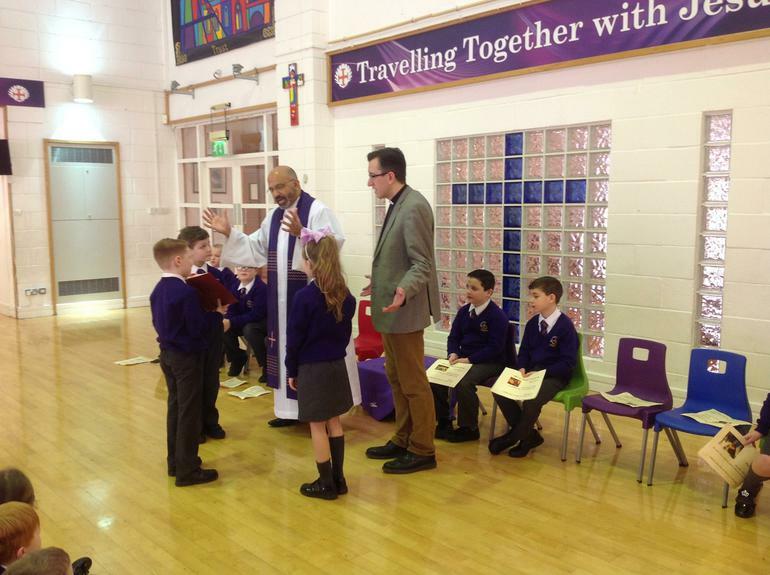 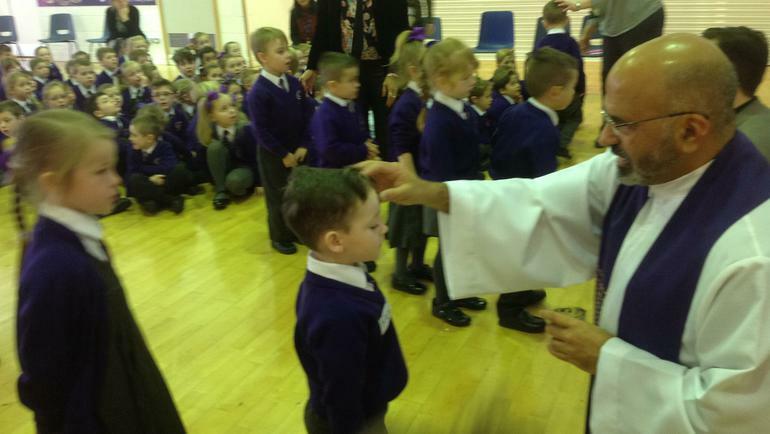 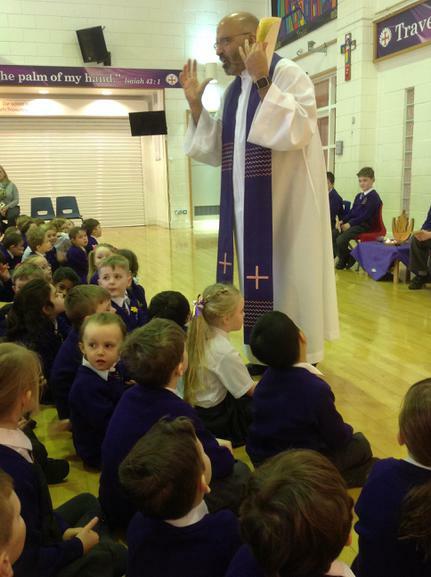 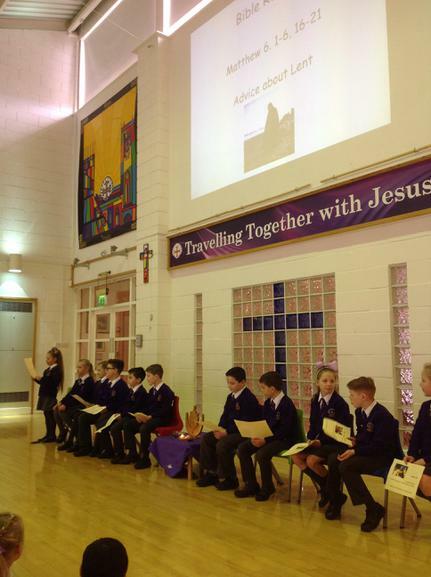 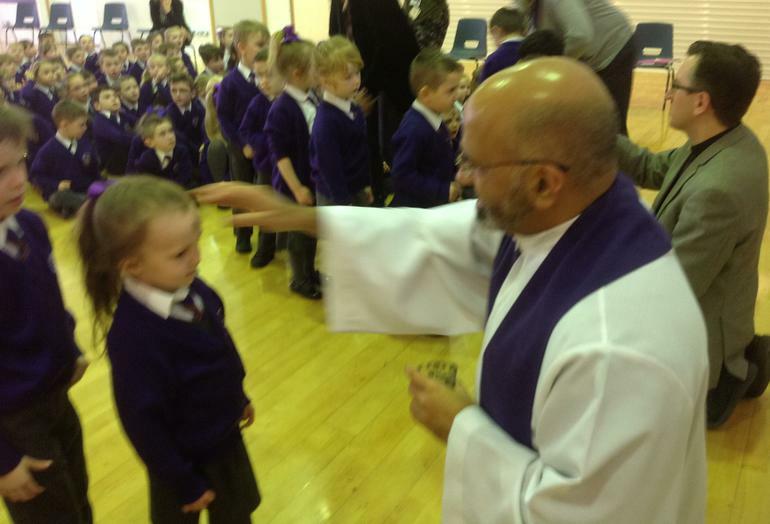 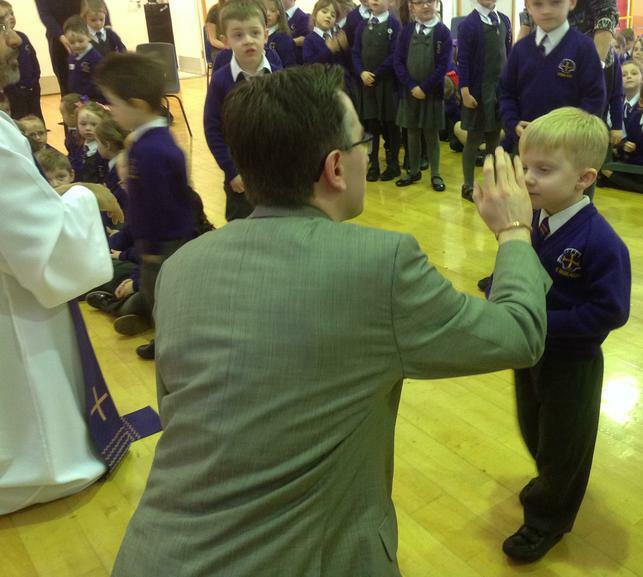 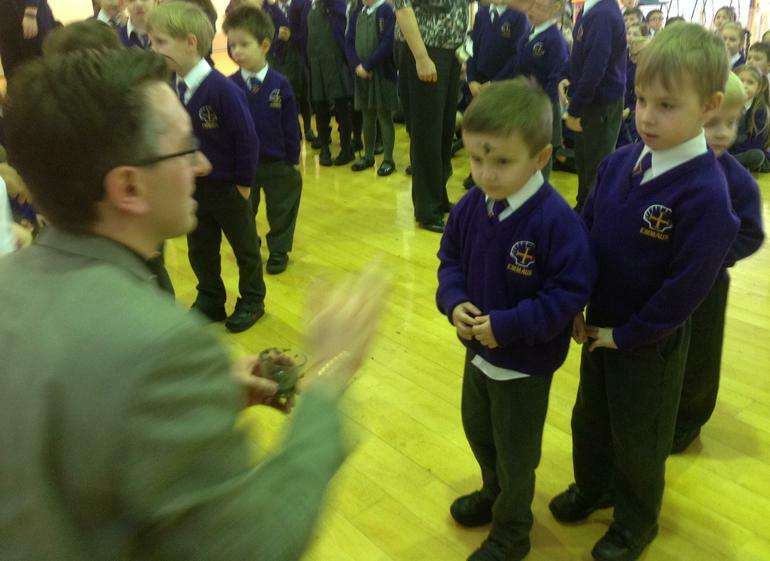 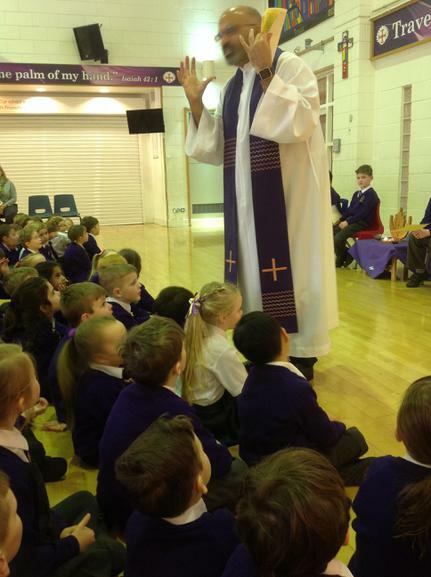 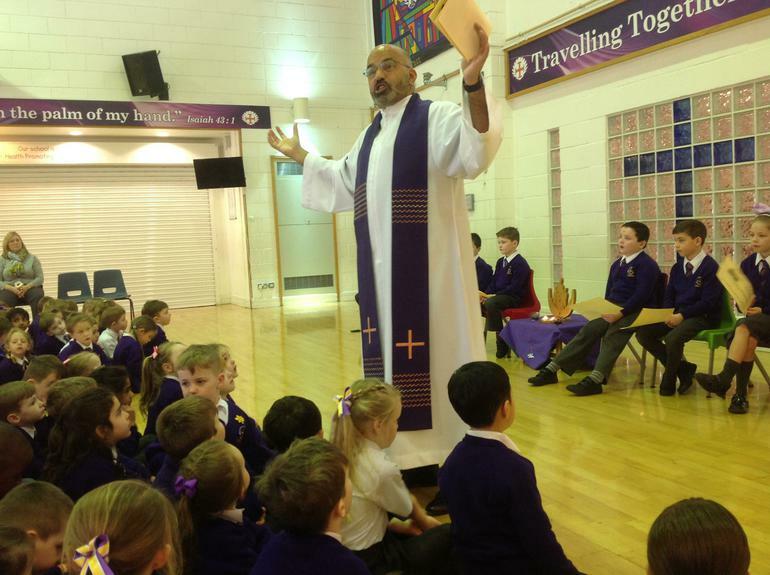 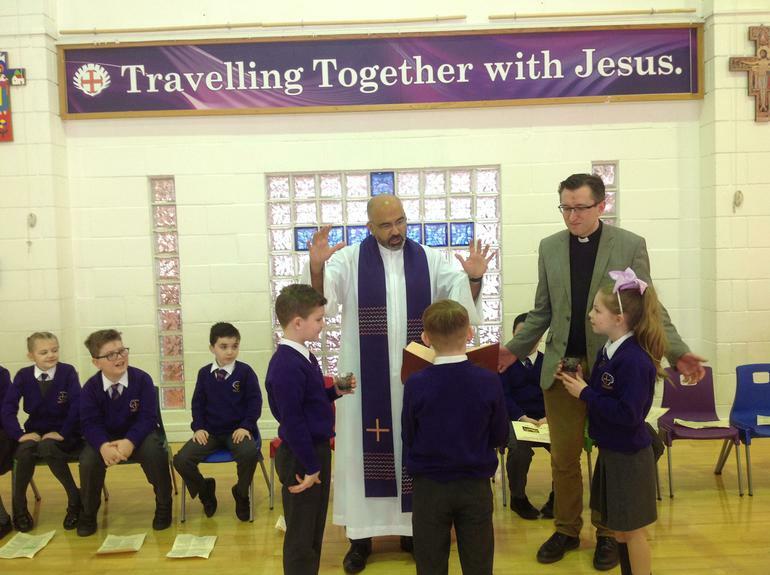 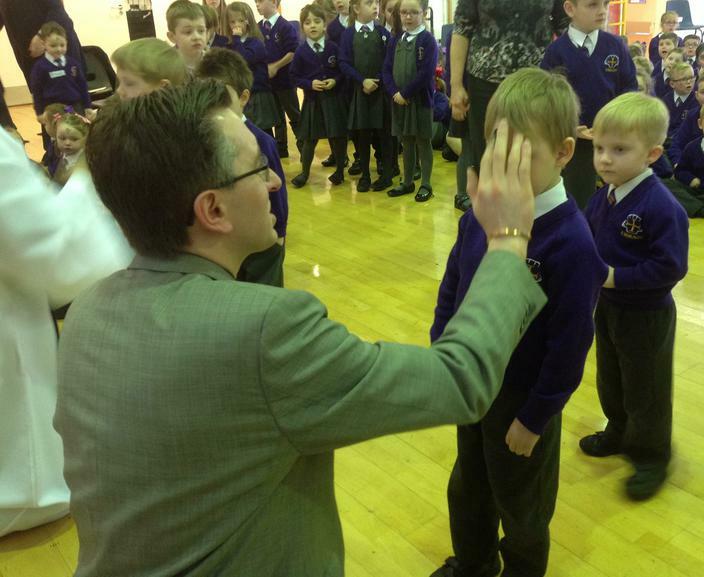 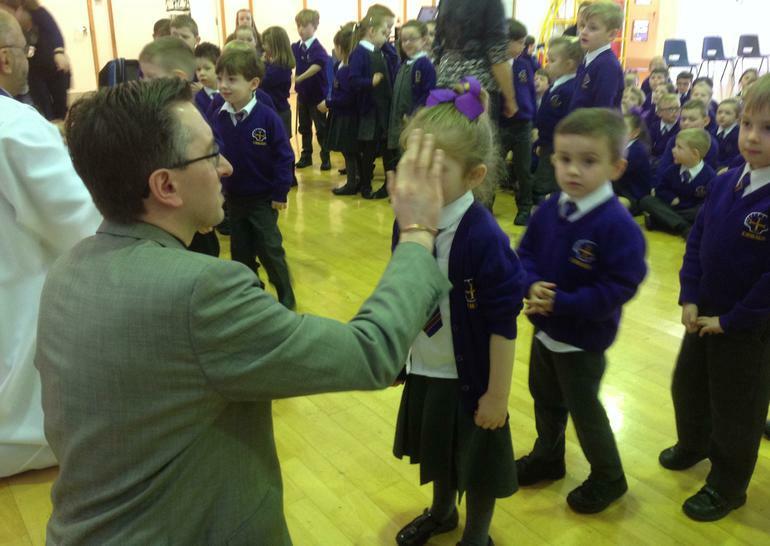 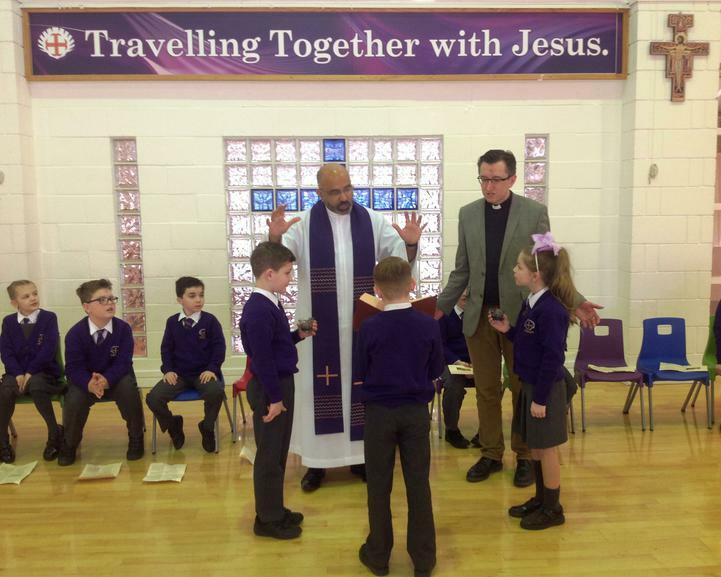 On Ash Wednesday, Father Kenny and Rev Alastair led a special service to mark the beginning of Lent. 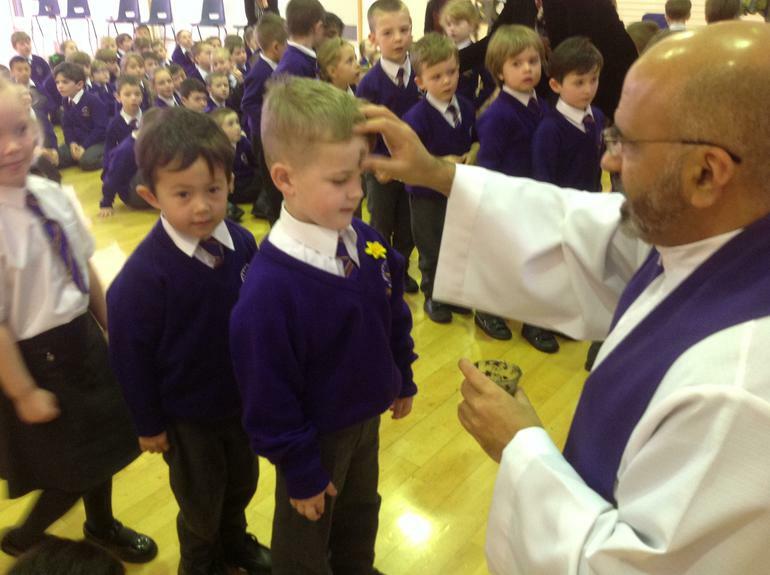 We all received a sign of the cross on our foreheads to show that as Christians, Lent is the time when we make a special effort to grow more like Jesus and allow God's love to shine in everything we do. 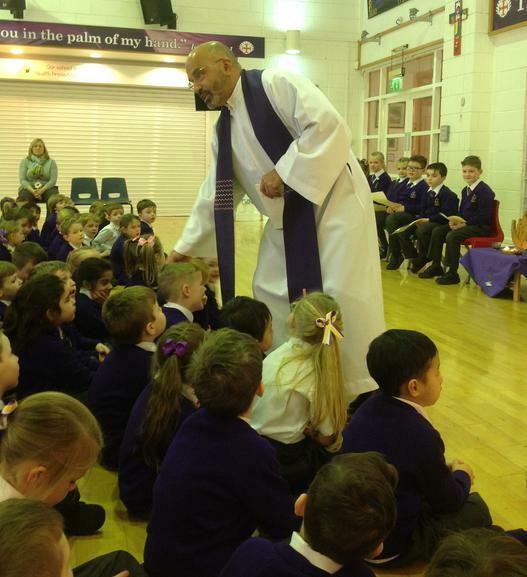 To help us remember this important message, we have been singing a song every day during Lent called SHINE!